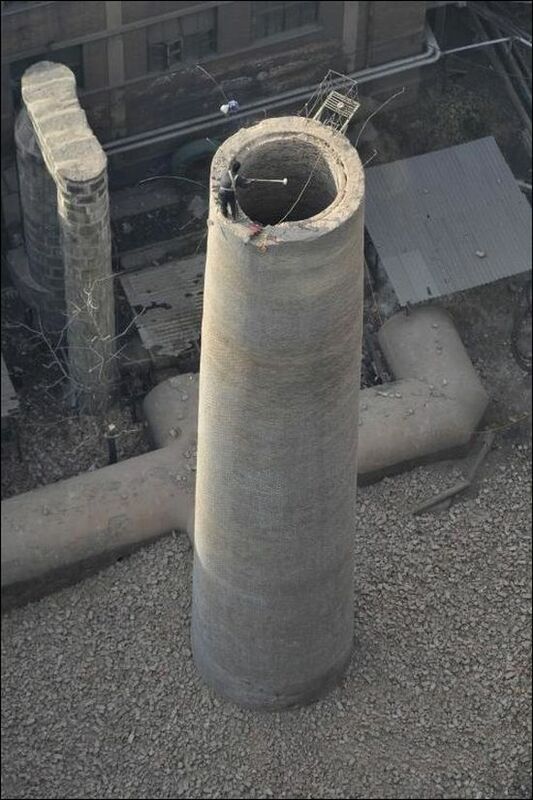 This worker will destroy this 45 ft high chimney brick by brick. 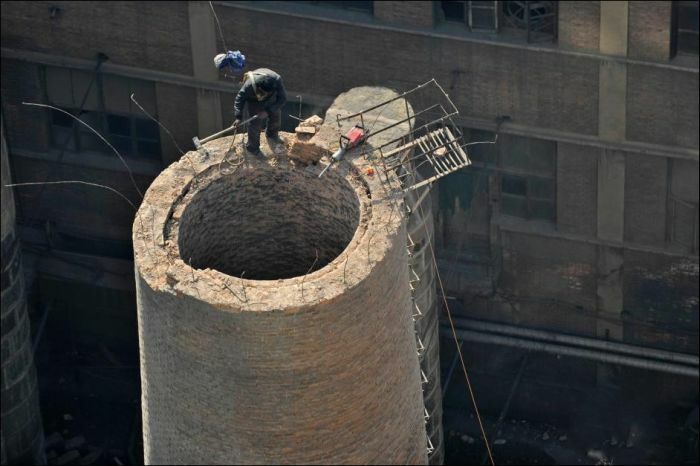 Hiring someone to do this is actually cheaper than buying dynamite but it doesn't look all that much safer. 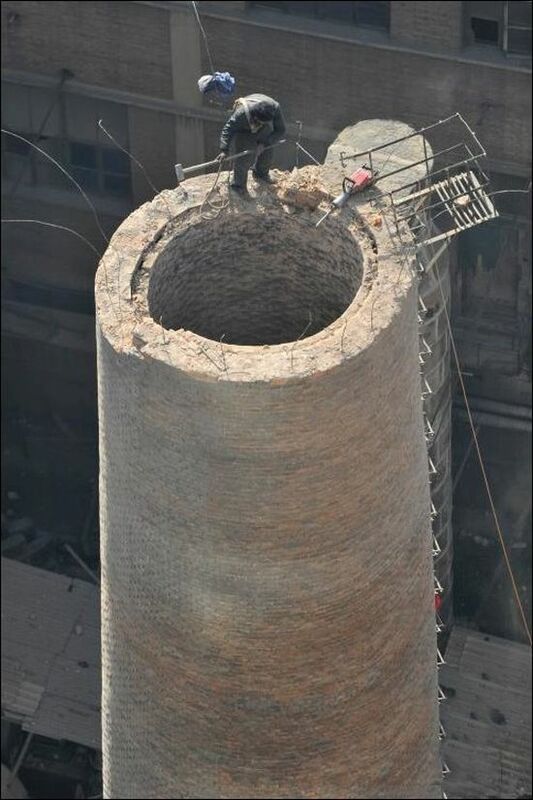 if he is willing to do it for the money, more power to him. Sledge on, brother. this is just a few pics of a guy .....actually boring. Would have been cool to show the end result too.